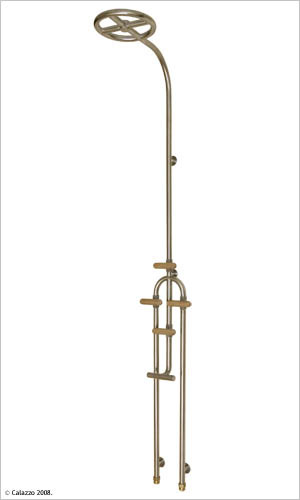 Defined by its circular showerhead, the PAVO Series Outdoor Showers offers a robust yet refreshing shower. Measuring at over 10 inches in diameter, the PAVO gives excellent coverage from head to toe. 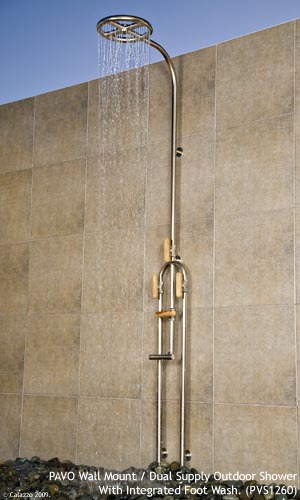 The showerhead is individually handmade with precision machined nozzles and individual Hot and Cold handle gives you total control over the intensity and temperature of your shower. 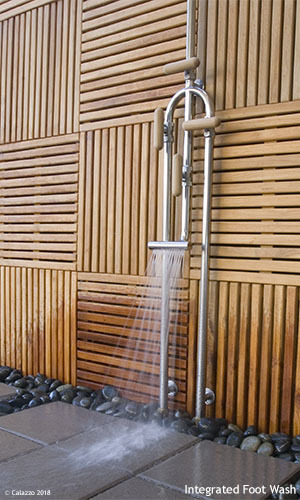 This model also features a powerful foot wash will easily clean away sand after a stroll on the beach. Adapters are included for connection with a standard garden hose. All 316 (Marine Grade) Stainless Steel construction for outdoor durability. 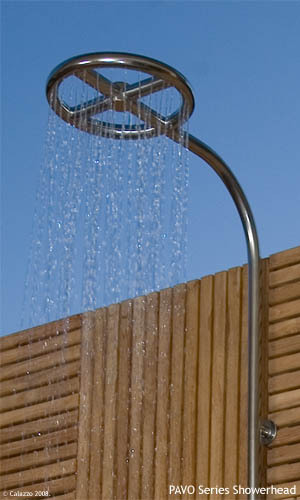 - Dual supply feed designed for connection to separate hot and cold water source. Can also be used in single source setup.